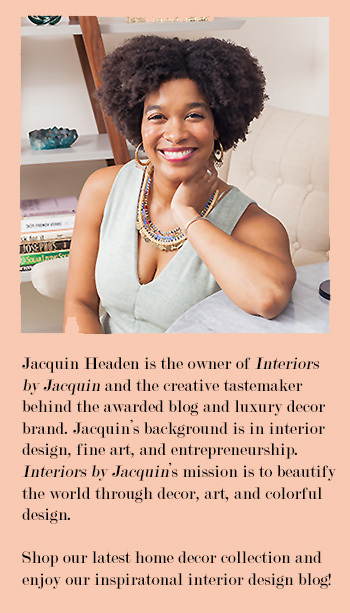 Jacquin: Thanks for sharing your colorful home tour today. Tell us a bit about yourself and your blog. Tanya: Hi everyone! 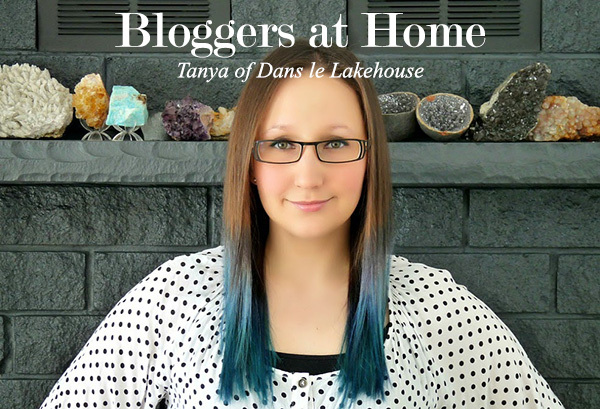 I’m Tanya, from Dans le Lakehouse, where I share DIY projects, craft ideas, room makeovers, and more. I started blogging shortly after my Handy Hubby and I bought our first home, a 1970s townhouse. We’re both pretty handy and creative, so we updated it on a really small budget, but we still made it feel like home. Two years ago we found our dream home, a modest bungalow on the shores of Lake Superior. We dove in head first, selling our townhouse and moving 1000 miles in the dead of winter. We have big plans for our new home, but we’re taking it slow and getting to know the house – and figuring out what we want – before making too many big investments. 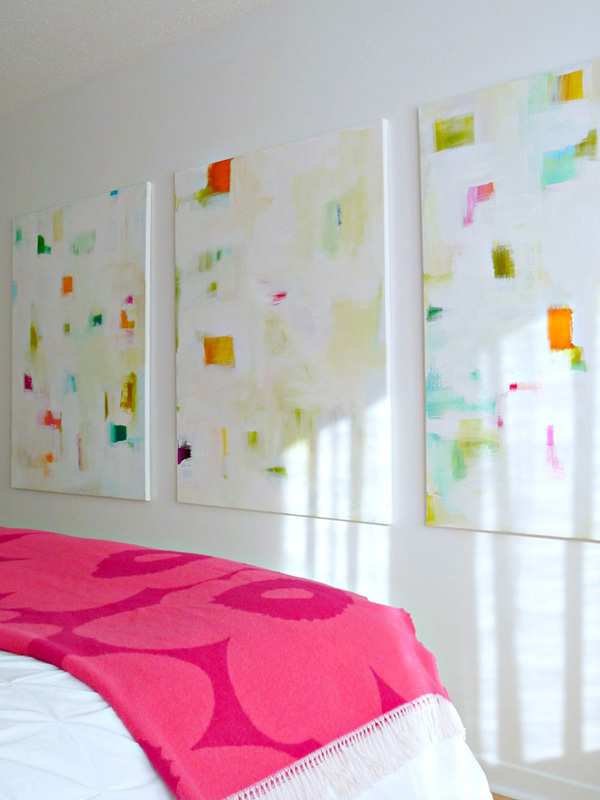 In the meantime, paint has been our ally and we’ve spruced up the house on an even tinier budget than we had before! We’re currently renovating our main bathroom, though, and that’s our first “real” upgrade in the house – I’m excited to see that project completed, especially because it involves a pair of gorgeous aqua sinks! 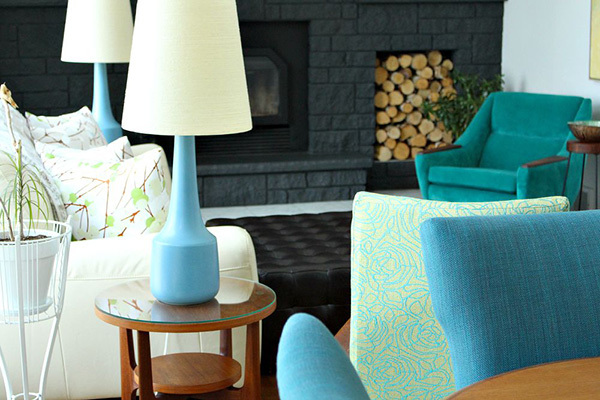 Tanya: I call my style “coastal mid century”. 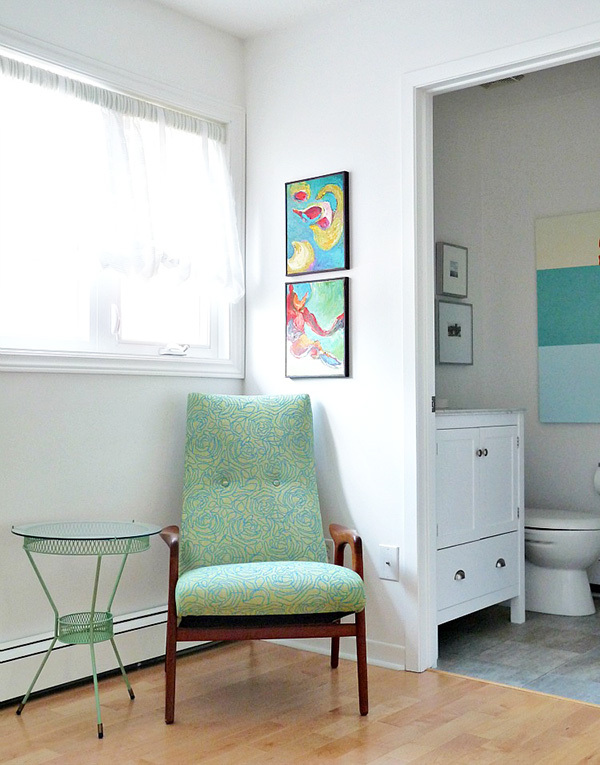 I’ve always loved the clean lines of mid-century modern furniture and our initial townhouse was home to a lot of my thrifty, vintage finds. 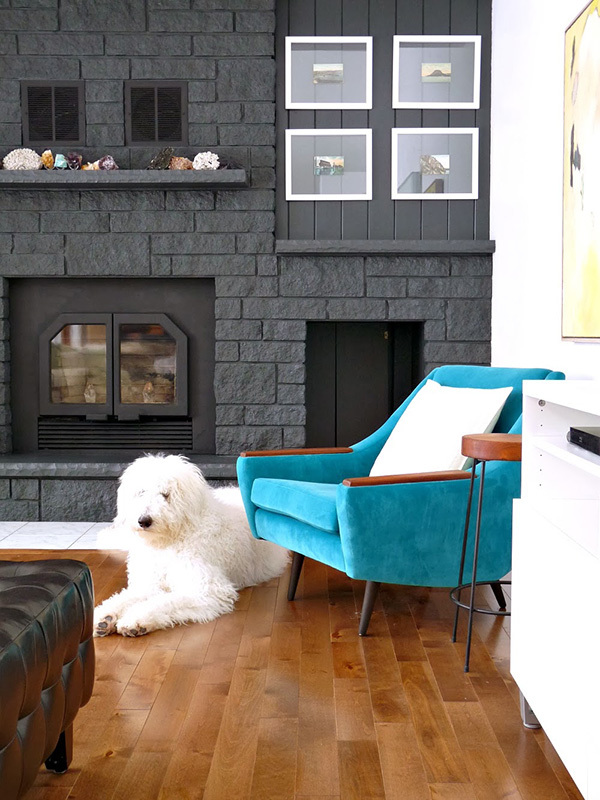 Since moving to the lake house, I’ve found myself favoring more “beachy,” “cottage inspired” finishes, like back painted glass, pale grey wood stains, beadboard, and lots of cool blues and aqua. I’ve married the two styles to create a modern look, with touches of mid-century, some subtle beachy textures, and tons of aqua. I love the kitchen! 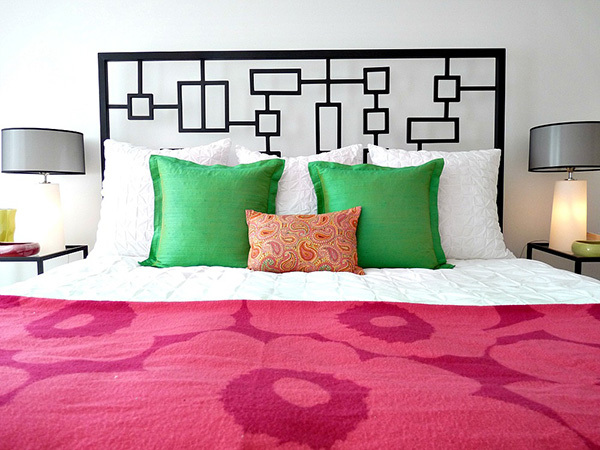 It’s a temporary makeover while we save for and plot a major kitchen reno, so I decided to have fun! 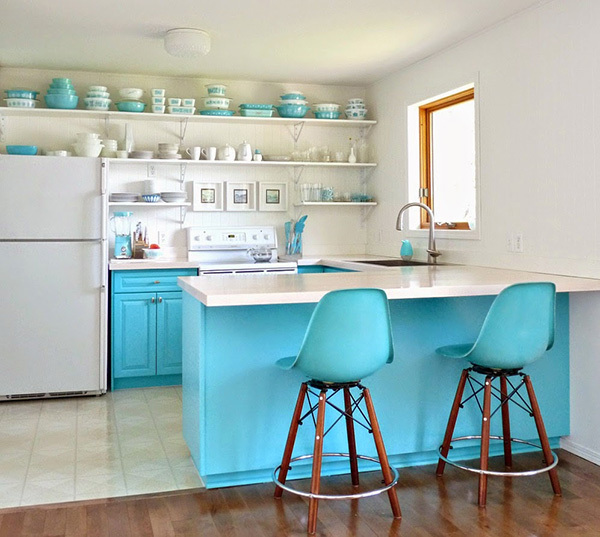 We painted the cabinets bright aqua, tore down the tiny, awkward cabinets, installed beadboard for a cottage feel, added more room for my vintage aqua Pyrex (!) 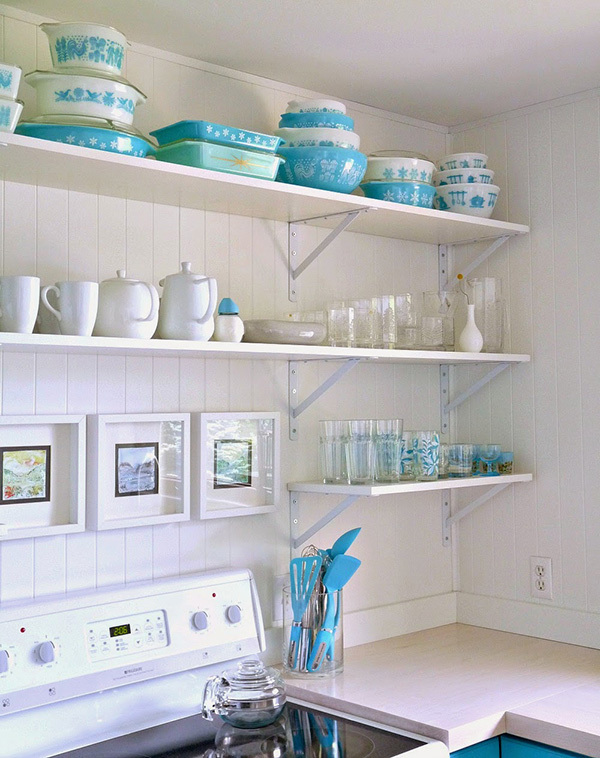 with open shelving, and we even made solid maple counters. It’s a small, but cheery place to bake, cook, and entertain. Jacquin: What has been your home’s favorite craft or DIY project to-date? Tanya: That is a touch question! 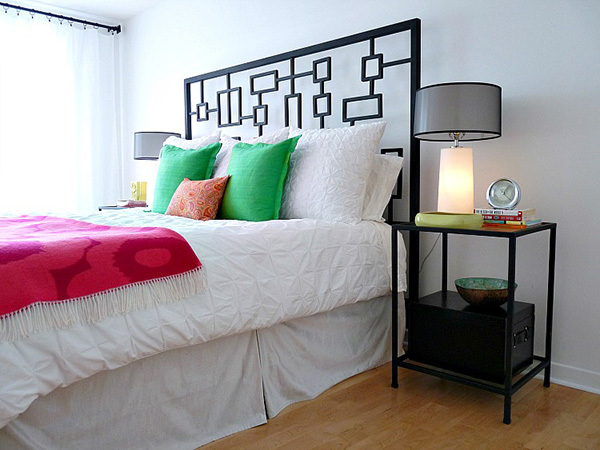 We’ve tackled a lot of projects, from big scale furniture pieces to small crafts. 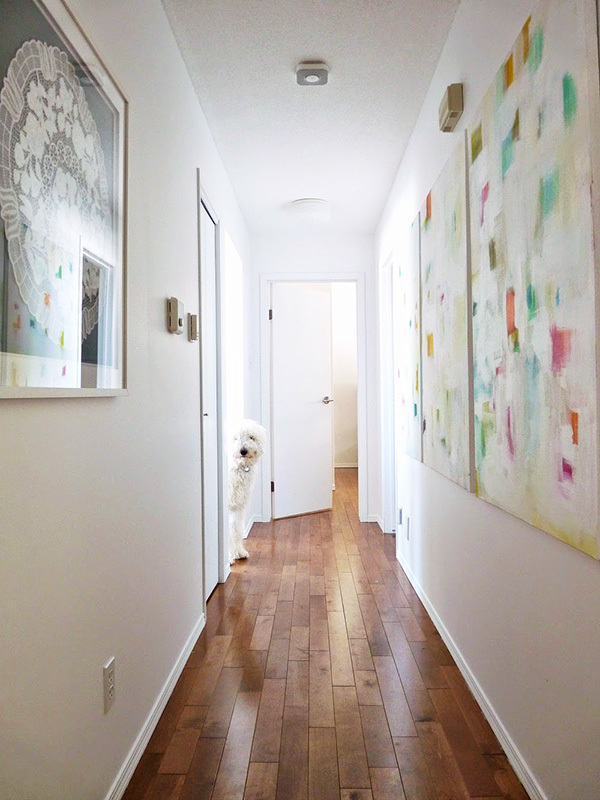 I love the Ikea cabinets we turned into a floating credenza and the framed agate art I made is still one of my favorites because it was so easy, but I think my absolute favorite project is the solid maple kitchen counters. Handy Hubby and his Dad built those from raw lumber and then I stained them white. The grain is gorgeous and I’m so proud of them! Tanya: A day on the lake! Since moving here, I’ve learned to live on “lake time” and get out on the water whenever it’s a calm, warm day – no waiting until housework is done or dinner’s made. Living here makes me live in the present, and I’m grateful for that. If we’re talking a perfect “winter” day, that would require finding a giant antique mall and strolling the aisles with a latte in hand – with fireside s’mores squeezed in somehow. 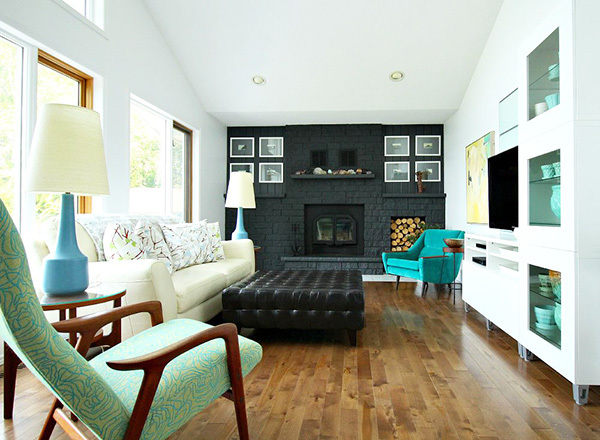 Follow along with Tanya’s home renovation projects at her blog, Dans le Lakehouse.